In this second phase of Evolutionary Marketing Toolkit™ the brand’s core and the neurobiological motive(s) inherent in it are gauged. Successful brands own primary universal territories in our brain. These might have been originally instigated by the character of their creator, their historic DNA and its evolution, their products, names, etc., ending up permeating their culture and communication and being fine-tuned and reinforced by the consumer. Seamlessly integrating the ingrained concepts in our brain makes all the difference between a brand leveraging a rich mental system of associations and one that tries to represent too many concepts that are loosely connected in our brain, ending up occupying no clear position in the consumer’s mind. Our neurobiological motives cooperate with each other in particular ways creating connections that are biologically useful. By tapping into the profound pathways and associations that nature made intrinsically rewarding in their own unique way, living brands claim the ingrained concepts and their profound interrelationships as their own territory in our brain. 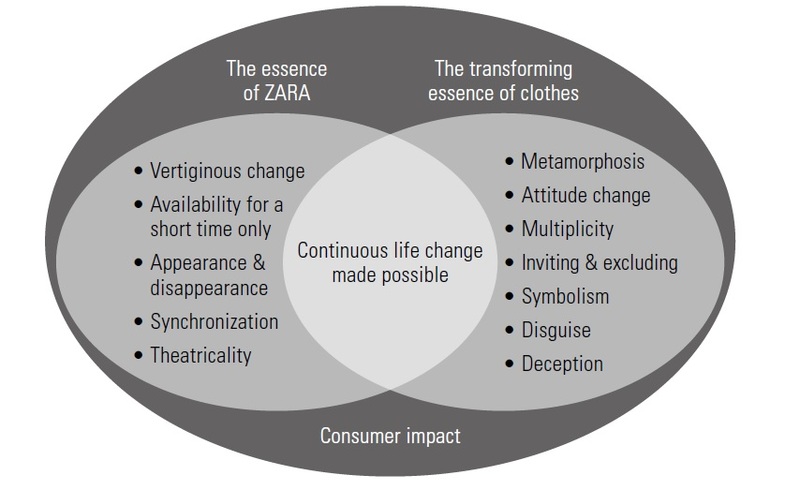 The profound interrelationships of our motives are employed here to help the brand’s life forces evoke the relevant motives driving the category, forming a unique answer to what consumers have always wanted. To be authentic and engaging, narratives must be sourced from the core of the brand. To capture the deep resonances that make a brand successful, and fuse them with the deepest motives that drive the sales and profit in the category, a profound knowledge of the rich hierarchies of inherent concepts of our brain, and their underground interconnections, is required. Our neurobiological motives are like bare patterns in any language. An average brand may gain some transitory attractiveness through creative marketing. Living brands infuse the patterns, fertilizing the basic forms, in a very particular way, according to their genetic codes. In this way, the consumer proposition, the brand personality, the values and beliefs, the functional and emotional benefits, the substantiators and the core essence of the brand are exalted. Following the pathways our brain uses to create reality our concepts become alive. Powerful concepts stem from our Fundamental Human Motives and their profound interrelationships, reflecting the way the systems in our brain cooperate with each other.